Finish off your coil over conversion with these forward offset front control arms from Maximum Motorsports! 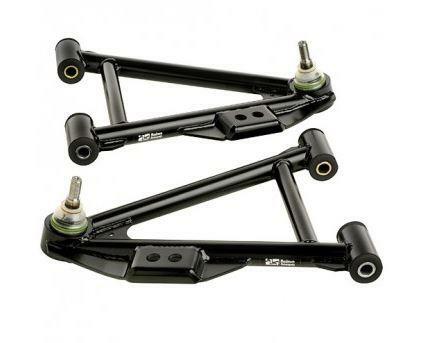 Save weight & improve steering response with Maximum Motorsports control arms for 1994-04 Mustang! The advanced geometry in this control arm will improve handling as well as create a tighter turning radius! By removing the spring perch along with the tubular design; you will be dropping a combined 13.5 pounds from the front of your 1994-2004 Mustang! Maximum Motorsports has used a unique and true A-arm design that maximizes rigidity and equally absorbs all impact into the K-member. The arms are gusseted in strategic locations to ensure the control arm will bend in an accident, absorbing energy, before a weld will ever break. The smaller bushing design helps create a quicker steering response. 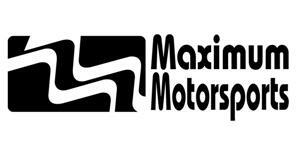 All Maximum Motorsports control arms feature low friction ball joints greater ride quality and handling. These arms will move the wheelbase 1 1/2" forward with MM K-member and 3/4" forward with the factory K-member.